Arguably the best debate team in the city? Maybe we're a little biased, but we sure think so! 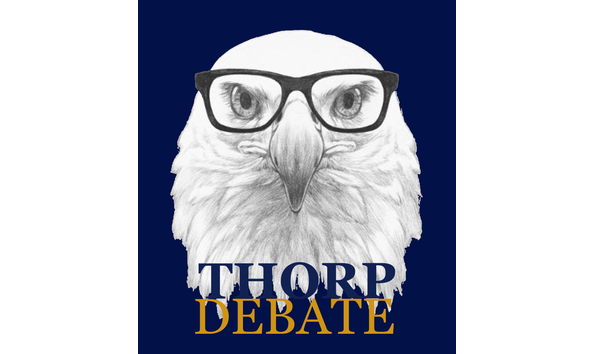 Not only do we have Thorp debaters consistently placing first in debate tournaments, but Thorp can also lay claim to having a Golden Gavel Excellence in Coaching recipient, Ms. Littleton. Bet you didn't know about that! While debate helps build skills in research and critical thinking, more importantly, it fosters social awareness and empathy toward global issues. The team needs your help though to grow the program--students are asking for help in purchasing supplies, debate tournament registration fees, and team apparel. Help cultivate the future thinkers and policy-makers of this world. Contribute now!